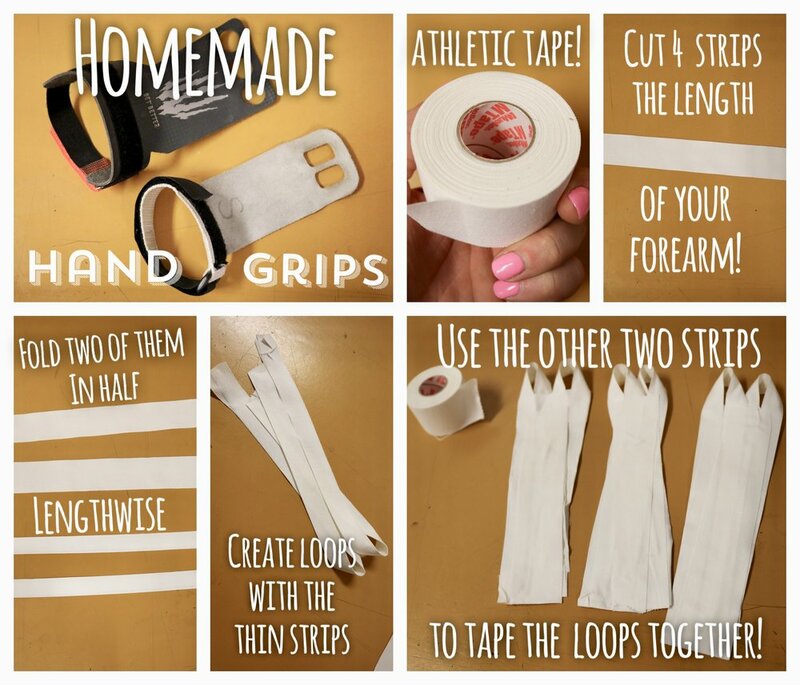 Choice City CrossFit Gym Fort Collins | CrossFit Classes Fort Collins | CrossFit in Fort Collins | Choice City CrossFit-190205 - Tips Tuesday - Making Homemade Hand Grips! 190205 - Tips Tuesday - Making Homemade Hand Grips! We’ve got LOTS of bar work this week and if you’re hands are super sad, torn apart, and ouchie… then make yourself some reusable hand grips! All you need is athletic tape and instructions! If you’re confused but want to create a pair, buy some tape then grab a coach and they can assist ya in creating them! Moisturize! Don't slather on the lotion right before class but on a general basis, before bed and after showers, rub some strong lotion into your palms. Dry hands are much more likely to tear and crack. If you've got thick calluses, take care of those in the shower by shaving them down with a razor, pumice stone, or WodRod (tool made for hand CrossFit calluses). Try using less chalk, you heard me, LESS! Tears come from friction between your skin and the bar. Chalk is meant to increase friction so less is more in this situation. Protect your hands by using the tape that we provide to make a hand guard or purchase a pre-made one online. Use a tighter grip! If your hand doesn't slide around and you've got a death grip on the bar then there won't be enough friction to make you tear! If you know you are going to tear and you're not going for a huge PR, alert a coach and they can give you an alternative movement that will prevent you from ripping your hands up!! IF you unfortunately tear, immediately rinse your hands with soap and water then apply an antibiotic. If you could pretty please use disinfectant wipes to clean your bar off that would be awesome too! Keep the spot moist (I hate that word) and try not to pick at it! Keep coming in to workout, we will tape it for you and scale as necessary until you heal up!
? of the DAY - What was the last piece of literature you read? 190204 - Meet the Athlete Monday "Coty"